Central Illinois is not really known for its scenic beauty, unless you consider flatlands and cornfields majestic. But hills, trees and picturesque landscapes are closer than you think. Lake of The Woods Forest Preserve in Mahomet is an impressive 900 acres of natural beauty that includes wooded areas adjacent to the Sangamon River and reconstructed prairie land where native animals and wildflowers thrive. The forest preserve is not only a beautiful place to visit but also educational. Information about its history and the wildlife in the area, including plants and animals, can be found throughout the park. 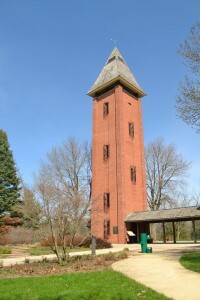 The preserve also boasts several unique charms, including the Hi-Tower Bell Carillon, the Covered Bridge, Swinging Bridge (think Golden Gate Bridge but on a much smaller scale), Mabery Gelvin Botanical Garden, and Buffalo Trace Prairie. The Hi-Tower (or Bell Tower as many locals call it) is something you don’t want to miss. This year marks the 50th anniversary of the Hi-Tower! Climb up the six stories to the observation deck at the very top, which puts you above the trees and offers some pretty amazing views of the preserves and surrounding area. 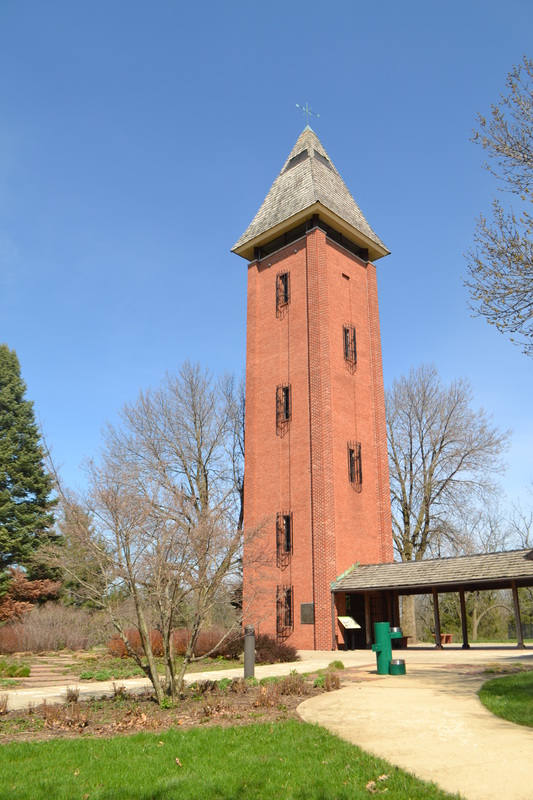 The carillon chimes every hour from 9 a.m. to 5 p.m. and music plays 15 minutes before and after each hour. Visitors can drive or walk/bike across the bright red Covered Bridge at Lake of the Woods. If you’re walking (there’s a sidewalk outside of the bridge) you may want to take a moment to enjoy the view of the Sangamon River or if you’re feeling brave, stop to see if you can find any signs of the resident bats. (Yes, I said bats.) Apparently, three different types of bats have been spotted living at the bridge. 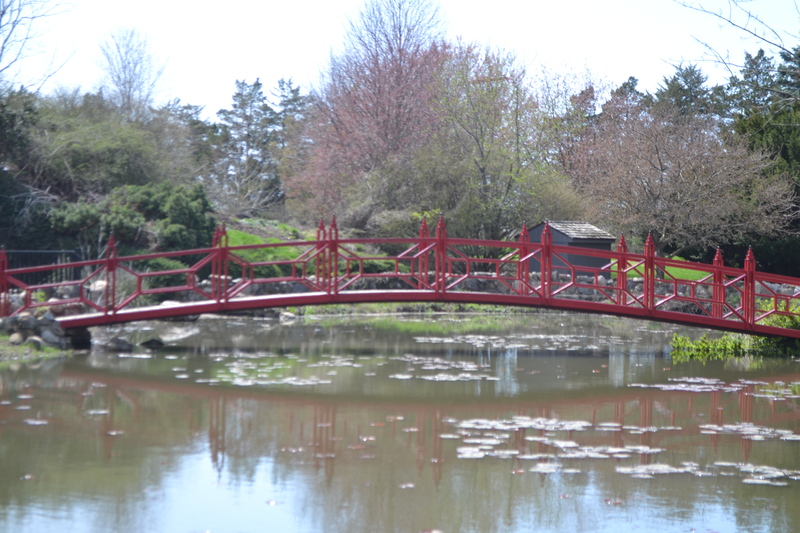 The Mabery Gelvin Botancial Garden, which is located south of the Museum of the Grand Prairie, is free to enter and a beautiful site to see, especially when the flowers are in full bloom. 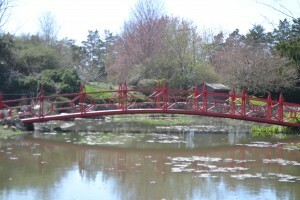 The eight acres includes gardens, a small Koi fish pond, waterfall, and a walking bridge. The entrance to the Buffalo Trace Prairie is at Route 47, directly across the street from the museum and botanical garden. Buffalo Trace is a reconstructed prairie that includes a wide variety of wildflower species. Both paved and mowed walking trails wind throughout the area. A brochure is available to those interested in identifying the various types of flowers at Buffalo Trace. Lake of the Woods Forest Preserve is also home to the Museum of the Grand Prairie and Lake of the Woods Golf Course, which features 9-hole Par 3, 18 hole course and foot golf. A number of other attractions offer a variety of activities for outdoor enthusiasts including a lake and spillway, pavilions, a playground, and a 3.3 mile long paved bike and walking path. If fishing, boating, hiking, biking, sledding, and cross-country skiing all sound fun to you, then you’ll definitely want to make the trip to visit Lake of the Woods. Grills are also on site for barbecues as well as sand volleyball nets for those interested. 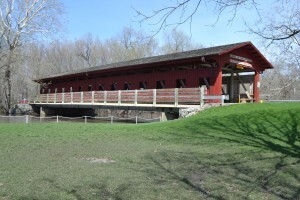 Visitors can drive or walk/bike across the bright red Covered Bridge at Lake of the Woods. Pedal boats, kayaks, and rowboats can be rented Memorial Day through Labor Day on the weekends (Sat-Sun) and holidays. The cost is $6 for 30 minutes. Boat rentals are located at the intersection of Tin Cup Road and Lake of the Woods Road. Boat rentals are located at the intersection of Tin Cup Road and Lake of the Wood Road. Lake of the Woods Forest Preserve is open year-round at 7 a.m. but closing times vary. As of April 6, the preserve is open until 9 p.m. Starting the first Monday in September, the park will close at 7 p.m. and then 5 p.m. on the Monday before Halloween. Kelly is a mom to three wild and wonderful children and a freelance writer for a weekly newspaper. She lives in Mansfield with her husband, kids, and two dogs.